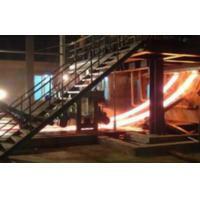 Steel quality Common carbon steel; bearing steel; low alloy steel and stainless steel, etc. 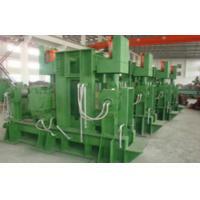 This continuous casting machine is designed and manufactured according to user’s request and is used for continuously casting the square billet, the cross section of which is 200×200 mm with length of 6m/12m operated by automatic control system. We can providesingle strand, double strands and multiple strands CCM as well as straightening machine, automatic cutting machine, billet cooling bank, billet spreader, molten steel spreader and other auxiliary devices and facilities such as soft water treatment and water cooling system. We are also the provider of turn key project proposal. Our company is located at the northeast of Wuxi, Jiangsu Province, with only 2.5 hours of driving distance to Shanghai Pudong International Airport, and the traffic is very convenient. 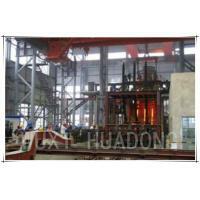 Wuxi Huadong Industrial Furnace Co., Ltd is a comprehensive enterprise integrating scientific research & development, engineering designing, system integration, equipment installation and sales & services. Our company is dedicated to professional manufacture the production lines for casting of various non-ferrous metals and heat treatment since 1989. The production lines for casting non-ferrous metals supplied by our company is complete in categories, specifications and types, mainly capable of casting metals including copper and copper alloys, also related to non-ferrous metals such as magnesium, aluminum and zinc etc. 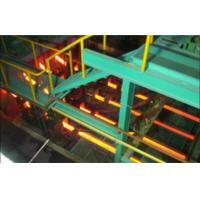 The casting modes include horizontal continuous casting, vertical casting and upward casting; By using our production lines, customers can get billet products with sections of near-the-net-shape dimensions and shapes, including 8 major categories i.e. 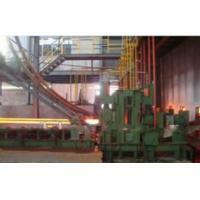 plates, strips, rods, foils, tubes, bars and shapes. 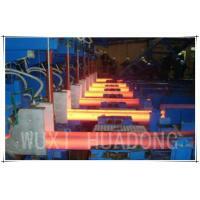 Heat treatment equipments include multiple types of electric resistance furnaces or combination, such as well type, box type, bogie-hearth type, bell type, protective-atmosphere type, vacuum bright type, strong-convection circulation type etc. 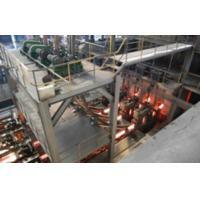 For casting production lines and heat-treatment equipments, our company can also provide various types of spare parts (furnace shells, melting grooves, water jackets, iron cores, crystallizers, special refractory, temperature measurement devices, transformers, reactors, electric resistance heating elements, and mechanical parts etc. ); Our company can also provide cold-processing equipments such as drawing mills and cold-rolling mills for tubes, rods and shapes, as well as scrap metal balers etc. Our company can develop, design, and manufacture equipments for specific production lines according to customers' requirements, provide complete services of solutions; Committed to quality, quality priority covers the whole process of designing, purchasing ,manufacturing, production, installation and after-sales services etc. We are doing our best to realized most advanced in technology, most reasonable in configuration, most superior in quality, and most inexpensive in cost. 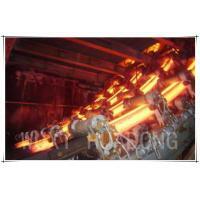 We strictly follow the requirements of ISO9000 quality system, achieving first-class product quality. 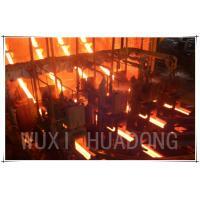 Choosing Wuxi Huadong Electric Industrial Furnace Co. ,Ltd as the partner means choosing trust and guarantee, and the correction choice is the safeguard for the smooth operation of your undertakings and reliable return of your investment. 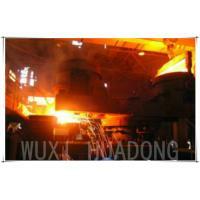 Wuxi East China Furnace Co. ,Ltd would like to cordially welcome friends from home and abroad for visiting and guidance.